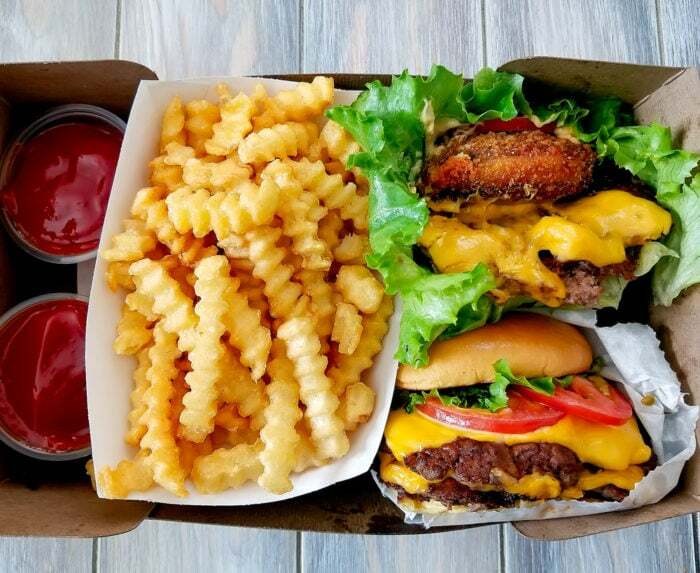 Shake Shack recently opened their third San Diego location, inside the brand new One Paseo shopping center. We’ve visited One Paseo a few times already. 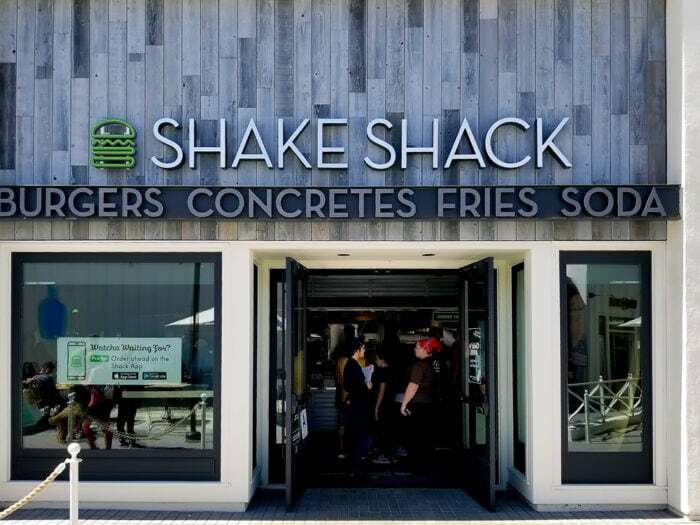 The complex contains several of my favorite eateries including Shake Shack, Salt n’ Straw, Tender Greens, as well as the first San Diego location for Blue Bottle Coffee. I also love all the open space and seating and its country-coastal style. 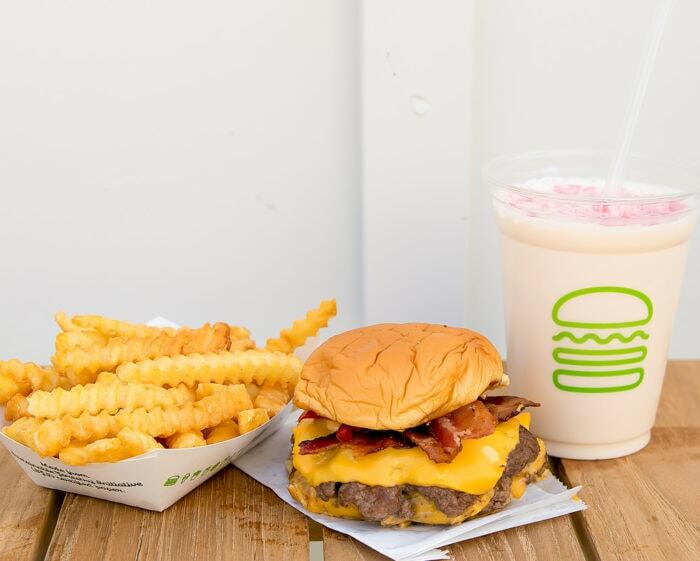 I plan on sharing a few more posts featuring other restaurants inside the new complex, but first Shake Shack. While it was busy during our visits, it was less crowded than the UTC location. You can also order ahead on their app. On our first visit, I ordered via the app so we could take the food to-go. I really love the flavor of their burger patties. I also love their crinkle cut fries which are very crispy with just the right amount of potato flavor. While picking up my order, I saw a sign for a new seasonal drink, Cherry Blossom Shake. So a few days later, we came back so I could get the shake. It was such a gorgeous day, we decided to eat at one of the outer tables. 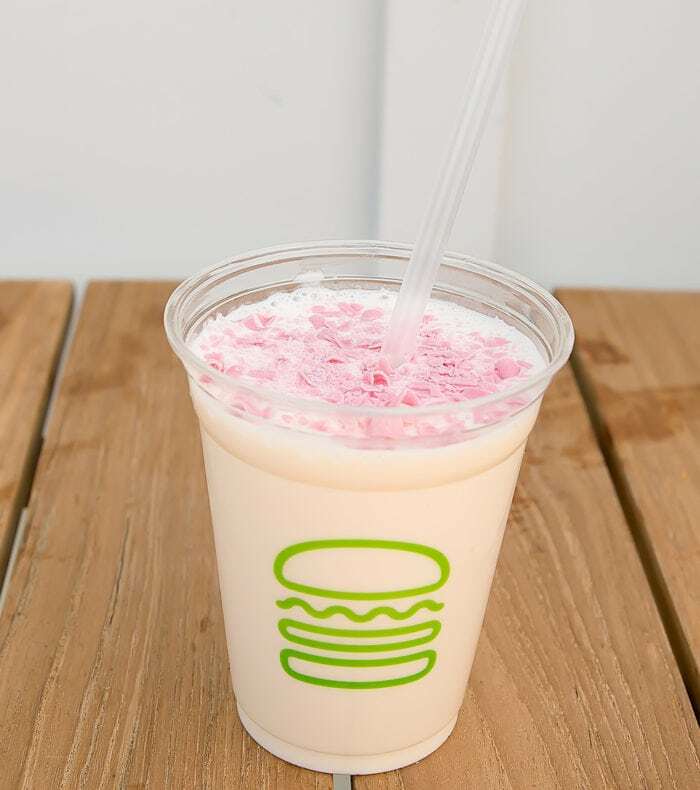 The shake is not nearly as pink as in their promo photos. It’s made with vanilla custard blended with cherry blossom and topped with pink colored chocolate curls. Flavorwise, it was a little hard to pin down what I was drinking. The shake had a slight tanginess to it and some floral notes. It wasn’t quite as sweet as many of their other shakes. Not my favorite but I didn’t hate it either. I’ll be sharing my visits to the other eateries inside One Paseo soon. 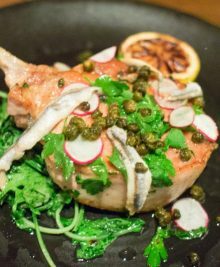 We’ve visited One Paseo a few times and have enjoyed it. I didn’t know you could request the burgers ‘low carb’ here!